Michigan State University, Eli Broad School of Management, M.B.A.
Michigan State University, Eli Broad School of Business, B.A. Christian R. Lueth is Dykema’s Chief Financial Officer. His professional experience includes various roles in finance and business operations involving both financial analysis and management information systems. Mr. Lueth also has experience in budgeting, forecasting, and analysis of complex financial and operational data. Prior to joining Dykema, Mr. Lueth served as Manager of Business Performance Reporting for a national banking institution, where he was responsible for the direction and oversight of all internal reporting for both the retail and commercial banking divisions. 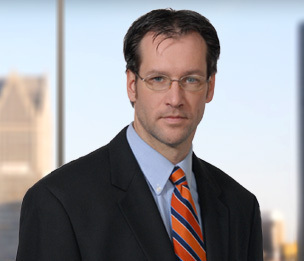 Mr. Lueth is a graduate of Michigan State University’s Eli Broad College of Business, and earned his M.B.A. from the Eli Broad School of Management in 2003. He is resident in Dykema's Detroit office.